It's been a while since I've done any gardening updates, and I'm feeling a bit guilty about it as there's one review that is well past its due date. Plant Me Now is one of the country's biggest online bedding plant nurseries and I can heartily recommend them. I've ordered a few bedding plants from them in the past, and not only have they always been an absolute pleasure to deal with but they've been very efficient too. And the plants? Always very healthy and good strong specimens. 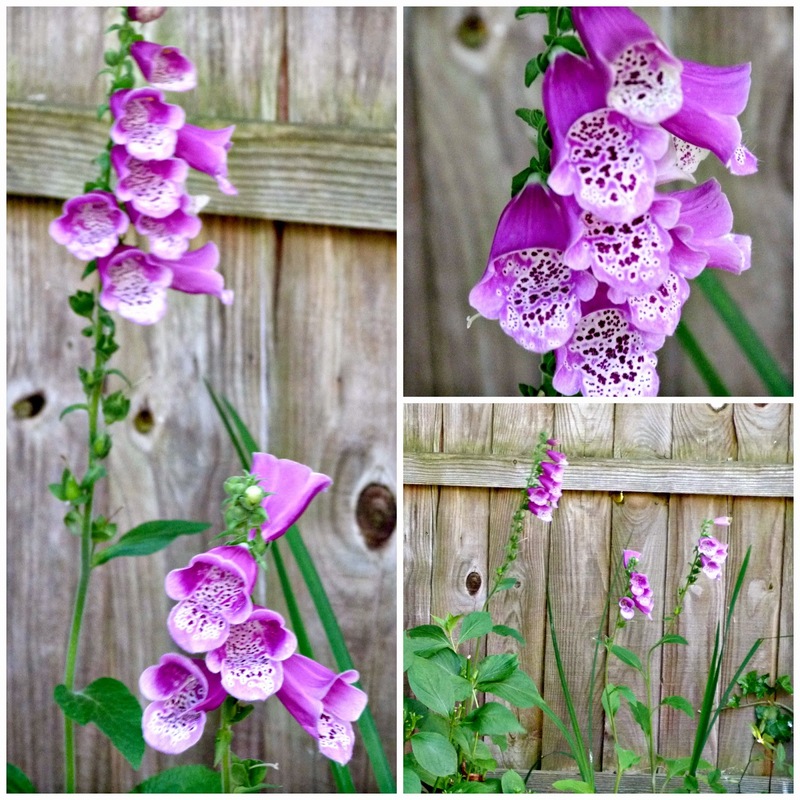 I was asked to choose some plants from their perennial range and I chose a few different varieties including foxgloves, Delphinium magic fountains and Lupin gallery white which I was most excited about. They all arrived as promised, well packaged and looking very healthy. I immediately repotted them into slightly bigger pots and kept them undercover and protected from the frosts in my cheapo plastic coldframe for a few weeks. I kept them watered and waited for a few weeks until the weather improved before I planted them out. I put them in a group, with the foxgloves and lupins together to make a decent show. Unfortunately within days of them being planted out, the blummin' slugs had eaten every single lupin. Every single one! I could have cried! The foxgloves looked great though, even though they were supposed to be interspersed with lupins - hence the gaps between each one. I'll try again next year, when I'll be ready for the slugs. 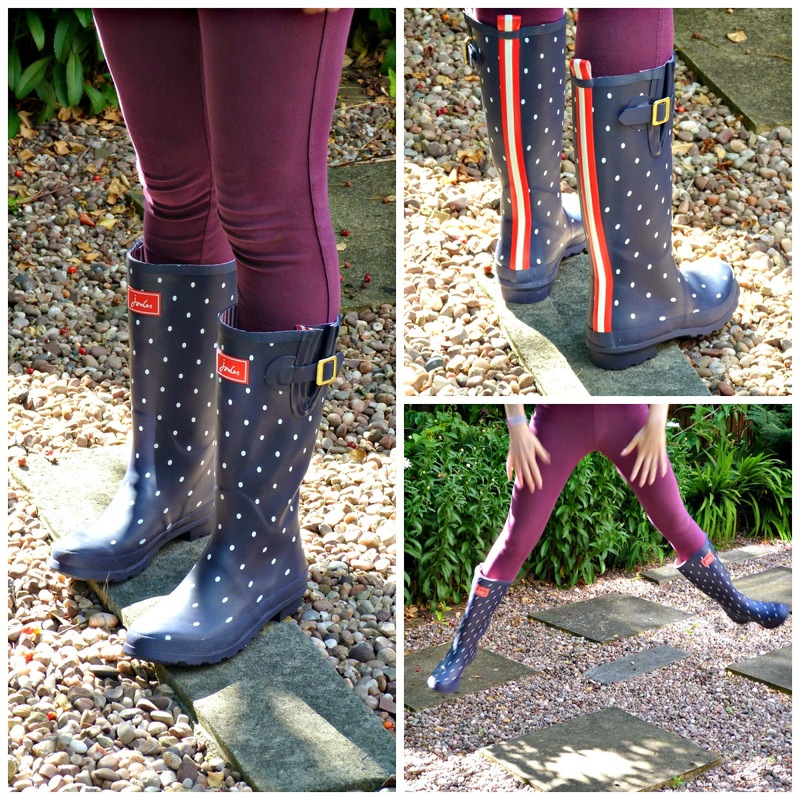 We were sent some fab wellies by Joules, the country clothing brand. They're modelled here by Tall Daughter, but it was the Teenager who asked for them - she intends to wear them to music festivals and didn't want to take mine (which are apparently 'old fogie' wellies). You can feel the quality in the Joules' wellies as soon as you take them out the of the bag, and even though the pattern is lovely they'll be covered in mud once she hits the festivals. So here they are in all their glorious newness, before the onslaught of mud. Gorgeous! And finally, a gardening gadget that I didn't even know I needed and to be honest, I don't need it per se, but it one of those things that can come in very handy. The Hozelock Wonderweeder is pretty simple to use, you simply put your choice of weedkiller inside and place the cone over the weed. Press down once or twice to squirt the weed and that's it. No need to bend down or spray excessive amount of weedkiller everywhere. It would be very useful for older gardeners or anyone with a bad back, like me. Have a look at the video which explains how to use it. Disclosure: I was sent these items for review purposes, however words and opinions are my own.